providing opportunities for learning and growth of all real estate practitioners in the country. 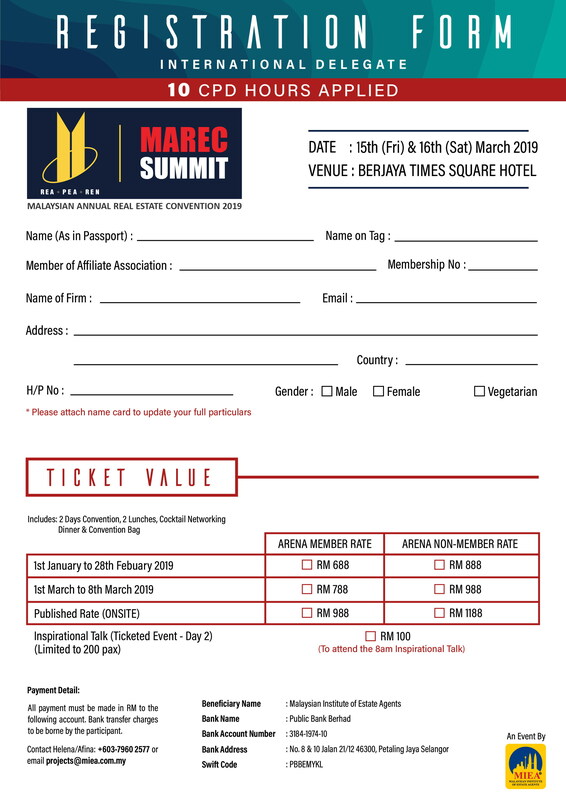 MIEA has transformed over the years and ‘MAREC’ is now branded with a new name “MAREC SUMMIT” – The Greatest Real Estate Event of the Year targeting 1,000 participants. The Theme has been aptly chosen as LEAD. The word ‘SUMMIT’ is defined as “Pinnacle or Peak” and as such the Summit goal is to provide a high level of learning experience and energy. The direction is to create a platform for practitioners to adopt new ideas and gain new insights to “peak in performance” and “reach the top” of their career goals. The Summit brings 18 high powered speakers covering Inspirational stories, motivational insights, digital technology applications, understanding real estate cycles and selling skill development. It includes ‘Breakaway Sessions’, ‘Million Dollar Round Table Sharing’, ‘Technology Applications Workshops’ and much more! This established national convention has been held annually for the past 33 years and has become a learning and networking platform for Real Estate Practitioners. 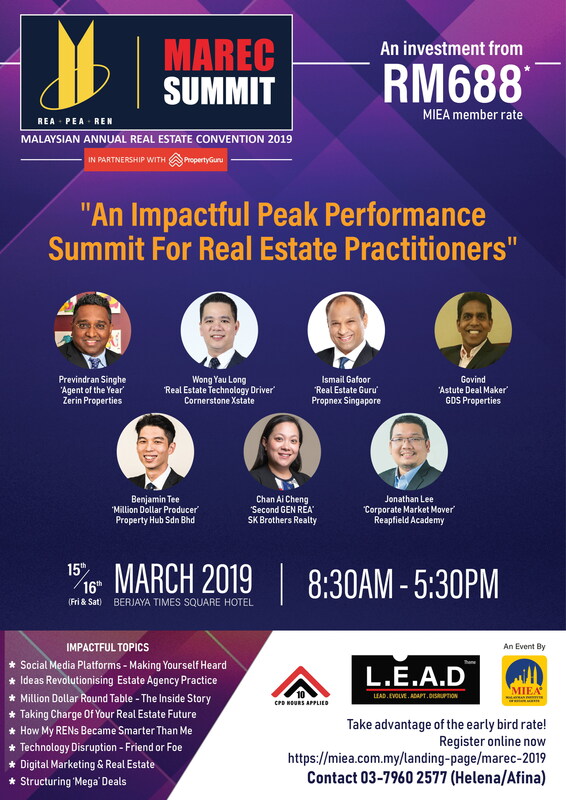 We have planned and identified key speakers to grace this event and to be part of the real estate leadership revolution we are creating. RM 988 (approx Baht 7,900), onsite registration.